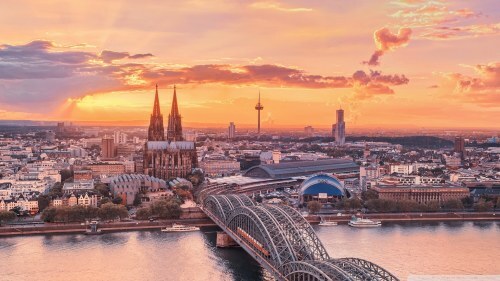 Eurowings, a subsidiary of Luthansa, is showing non-stop flights from Seattle to Cologne, Germany in August 2017 for $582 CAD roundtrip including taxes. On Expedia, the price will show up as $425 USD. When booked with a Canadian credit card, this will work out to $582 CAD roundtrip including taxes, based on today's exchange rate, and including the typical foreign exchange fee. Update 3/14 - These are still around. You can also find similar prices from Seattle to Hamburg or Berlin (but with 1-stop instead of non-stop), and also on the reverse routes (Cologne, Hamburg, or Berlin to Seattle). It may only be the departure dates of August 29th and later that are still cheap. 3 Responses to "Seattle to Cologne, Germany - $582 CAD roundtrip including taxes | non-stop flights in August"
Crazy deal, I've booked it. Look for Berlin and Hamburg with stop in Cologne. The same price roughly.